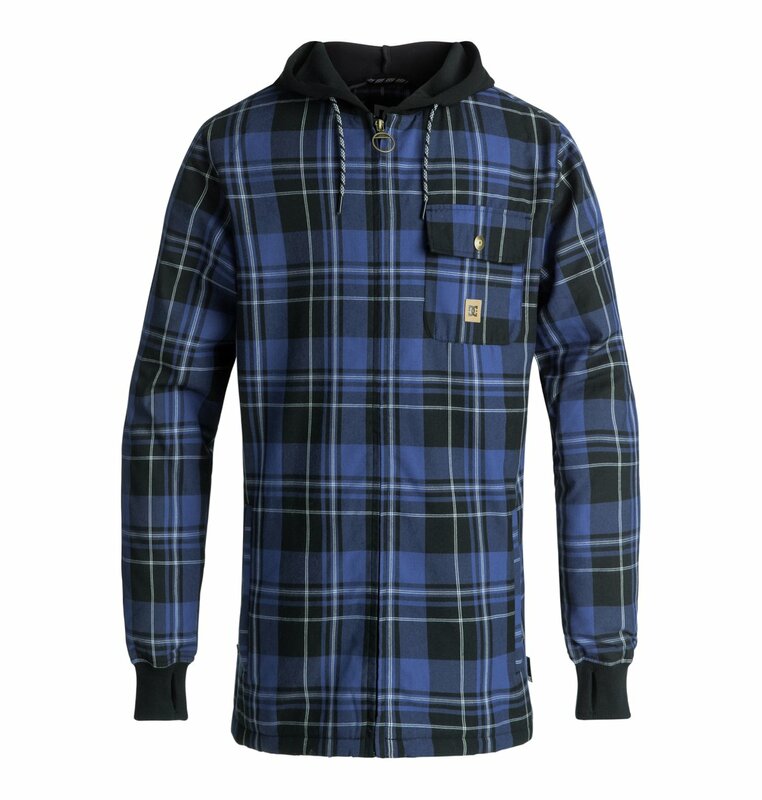 Skate-inspired insulated flannel shacket with 40g of insulation. 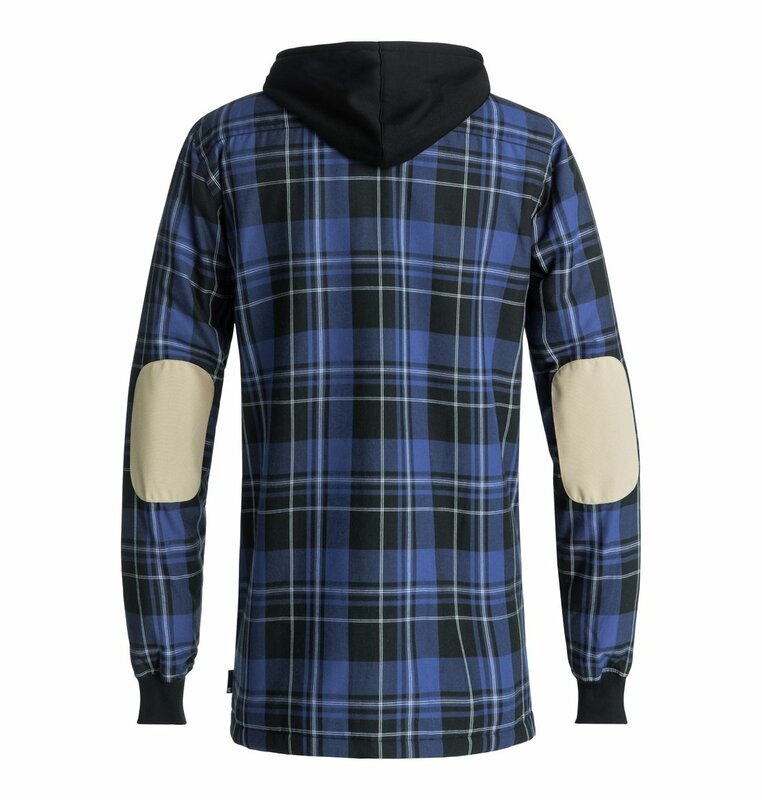 A DWR water-resistant treatment takes care of light snow, thumbholes keep it put, and a media port lets you shred to your favorite sounds. Like your favorite winter flannel, only better.